The 11-year-old is once again showing off some impressive pipes in an Instagram clip, posted this week by his proud poppa, David Beckham. The second youngest member of the Beckham clan performed his rendition of “the cup song,” made famous by Anna Kendrick in the movie Pitch Perfect. The tween sang an adorable a capella cover of the Carter Family song “When I’m Gone,” using a cup and hand claps for percussion. His performance comes just a few days after his former pop star mom, Victoria Beckham, shared a video of her budding musician singing rapper Twista’s 2004 song “Hope” on her Instagram page. “Super cute Cruz!! 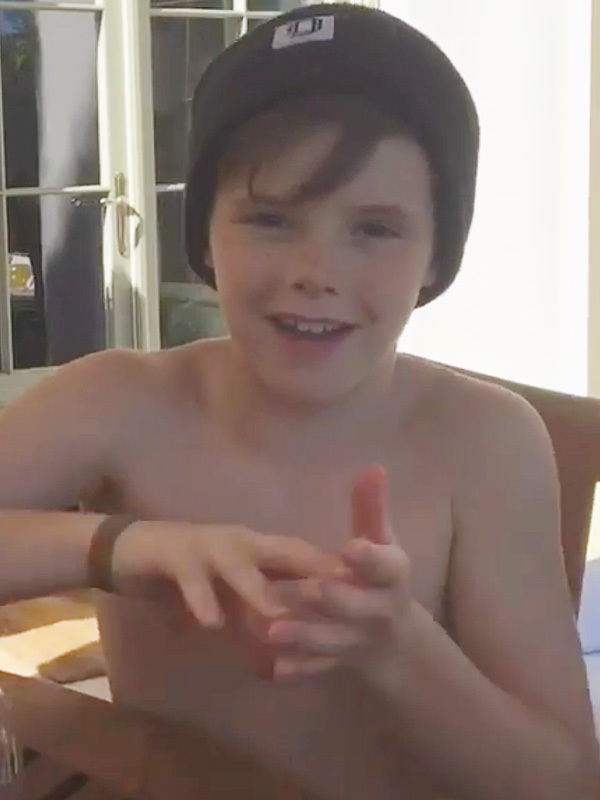 @davidbeckham @brooklynbeckham #proudmummy X vb,” she captioned the video. Victoria and David often share sweet photos and videos of their kids on social media, including Brooklyn, 17, Romeo, 13, and Harper, 4.